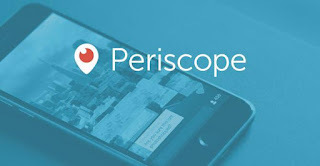 I am going to warn you - I am going to be addicted to Periscope! Today I thought I would do a tour of my craft room as so many have been asking to see it. I love that it is live and so easy with the mobile phone. Also that people can jump in and comment too. If you have never heard of Periscope - the best way to explain it is live broadcasting. So what I am filming you get to see and hear REAL time. There is a recording available to watch for a short time afterwards. This is why I wanted to do this post tonight so that you can watch the recording and see my craft room. So how do you watch my recording? 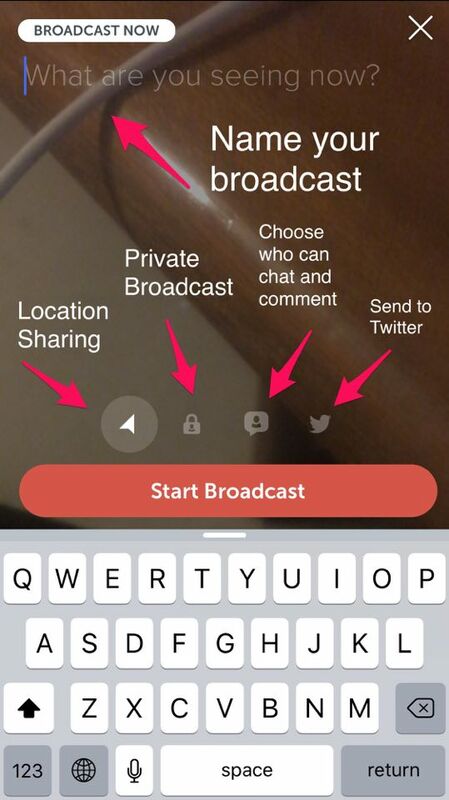 Let me give you an overview and tutorial of how Periscope works. If you love Stampin' Up!® Products and are a customer or a demonstrator you NEED to get this app - your craft experience is about to be changed forever! 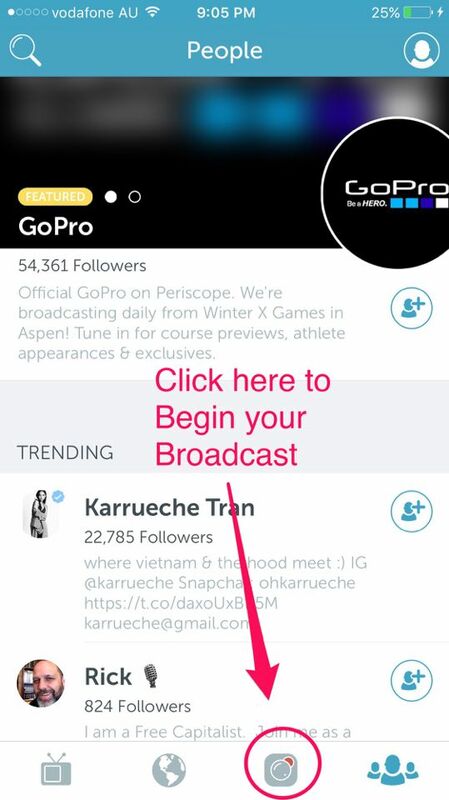 First get the Periscope app from the iTunes app store or Google Play App Store. Here's what it will look like when you click on that bottom right icon that looks like three people. Then click on the magnifying glass up the top left and search for Kylie Bertucci. There will be an icon next to my name to click follow me. Then click on the TV icon on the bottom left hand corner like this picture shows it will then show any live broadcasts of those that you are following or recent broadcasts that are no longer live but you can replay them. You just won't be able to comment or heart the video. This can only happen when you are live. I would love to come along to your broadcast if I can - especially live - so let me know you are going live! Here is how you make a broadcast! Its VERY simple. Click on the camera icon to begin your broadcast. Don't worry it won't start right away so don't stress out. This will then open nothing will happen till you press that big red button that says Start Broadcast so you are safe! 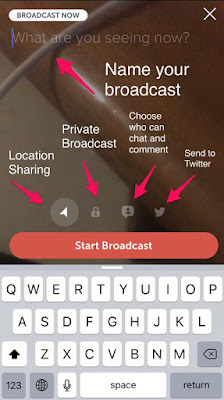 You have a few different options - Location Sharing, Private Broadcast, you can choose who can chat and comment and send to twitter. I love the idea of the private broadcast for my team - if they have a computer questions or something they want to know. Also for my VIP customers I can have some special videos for them now. Can you tell I am excited??? Since making this tutorial I have learnt a few more things that I wanted to add in - Here is a periscope I made with some more tips on blocking and protecting yourself while using periscope. thank you for showing us your craft room. I have a very small space, but would love some of those punch storage cabinets. Thanks once again. Awesome! Loved your craft room tour and thanks for the tips! I think the bigger it is the more overwhelming it gets sometimes! I am constantly trying to make sure that it doesn't get out of hand. Thanks Christine!